The Main Event – a constantly evolving challenge! We decided to throwaway the challenge event rule book, why have the same challenge every year? So year on year we provide you with a new challenge (and ultimately a new challenge for ourselves too!). We chose to evolve the challenge at Evolution year on year to make sure that the challenge is fresh, and still fun and competitive for everyone. No one taking part knows the route, if there is one, or what activities will feature in this year’s challenge. Our first year was a 15-mile orienteering course and our second year a series of bases and challenges with no set order. 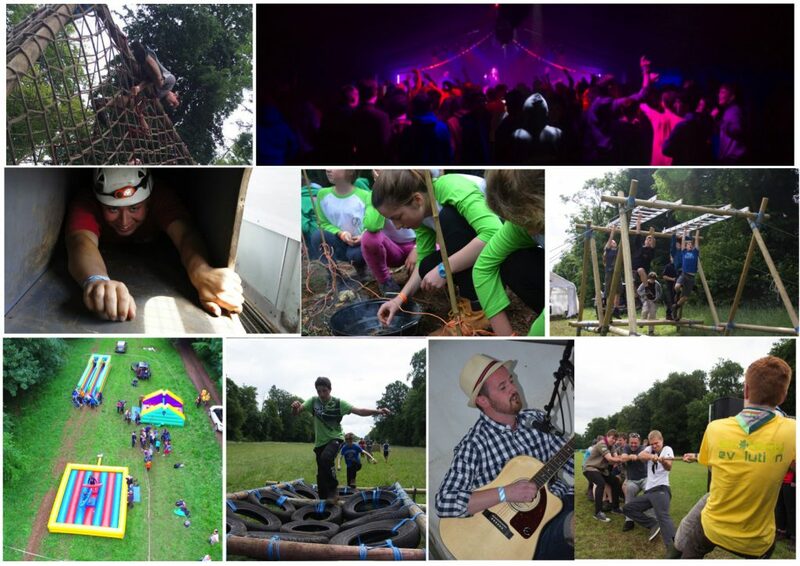 Last year we had 15 activity bases and a Cluedo-esque orienteering challenge. Who knows what this year will hold, all we do know is that the Evolution main event will be brilliant fun and test your teams and individual physical, mental and scouting/guiding skills. What you need (apart from what’s on our kit list) is map reading skills, teamwork and to come have some fun! In the evenings there’s a host of entertainment; In The Venue there’s a disco, talent show and host of onstage shenanigans. We also have The Café where you can get scrummy hot and cold food and drinks to keep you going. Fancy some S&E branded goodies? Head to The Shop and grab mugs, pens, glow sticks or check out our clothing range! You can pre-order on the website before even arriving! As well as all the fun above make sure to check out The Retreat; Our onsite bar hosts a selection of alcoholic and non-alcoholic drinks plus an array of more age appropriate entertainment. Our resident singers, musicians and gameshow hosts will keep you entertained all evening?